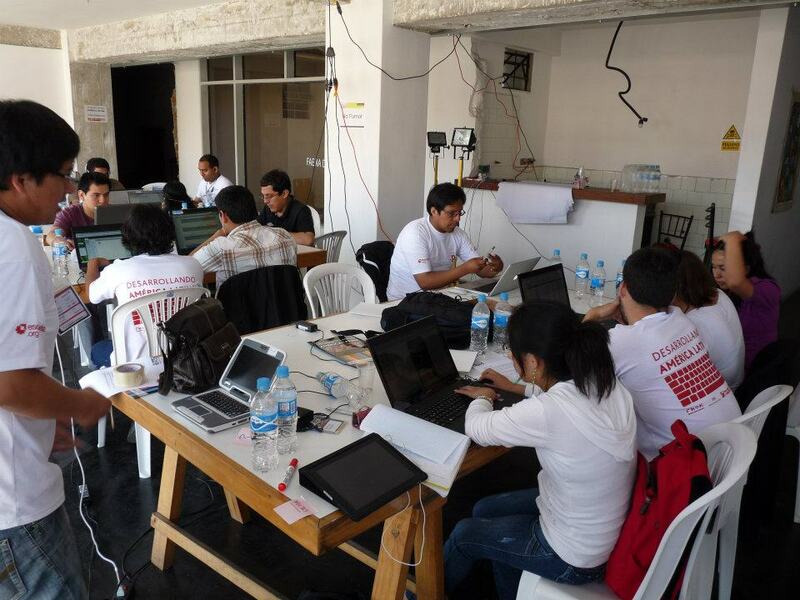 Previously we reported on  [en] the ‘Developing Latin America’ competition (Desarrollando América Latina ), or #DAL, a public hackathon that aims to create technological solutions to problems in education, security and public budget, in six countries in the region. Now it's time to report its results. 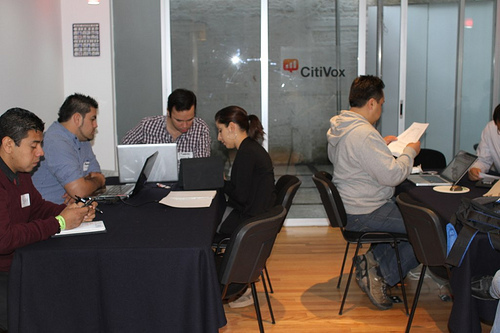 The Intelligent Citizen Foundation  [en] (Fundación Ciudadano Inteligente ), which organised the event, determined that there were local winners, in addition to the general and regional winners, so the competitiveness in each venue was an added ingredient to the challenge of managing to complete an interesting application based on existing open data, within the time limit. Part of the Mexican team. Photo by Desarrollando América Latina. little fewer than 50 young people, from various states, from Sonoro to Oaxaca took part. They made up ten teams that worked for 30 hours on different subjects, from public security to the transparency of the governmental payroll. In the end they presented their work in front of a panel made up on Mónica Aspe (Coordinación de la Sociedad de la Información y el Conocimiento, SCT), Eric Gundersen (Seed Development) and Andrés Lajous (Nexos magazine). After listening to the teams’ presentations and deliberating, they announced that second place would go to the Nuestra Info (Our info) project for it's orginality and its potential to present difficult-to-access public data. First place went to Xmatch for making the visualisation of comparative data maps and information accessible. “Public School” project (Proyecto “Escuela Popular”): Developed by Ukrainians Oleh Burkhay and Nadiia Vasylchenko living in Chile, it is a portal that allows accurate and detailed information about schools in the country. It allows people to give points to schools regarding different categories and comment about them, thus giving better information to parents who are looking for the best option. “Budget yourself” project (Proyecto “Presupuéstate”): It sought to project how much parents would need to save in the long term to be able to pay for their child to go to university. 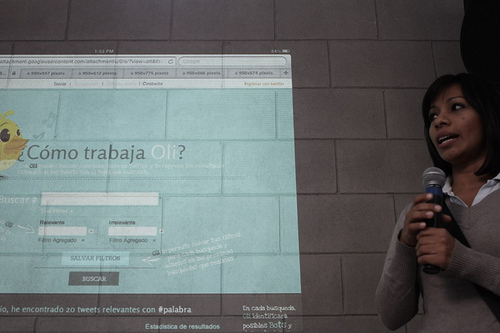 The application made a calculation based on a person's salary, showing a projection of different tariffs relating to different careers. It also made recommendations about which schools could help the students enter the degree path they desire, according to the University Selection Test grades taken from each degree. “Safe Point” project (Proyecto “Punto Seguro”): A platform where people from a neighbourhood can mark a conflict area (where robberies, violence e.t.c occur) on a map and create discussions with neighbours, in which they exchange ideas about how to combat the situation (install streetlamps, organise alarm systems amongst neighbours e.t.c). Part of the Peruvian teams. Photo by Maru Panta/Escuelab. El jurado otorgó el primer lugar al grupo #OTA  por el proyecto Quiero Ir! que mediante un punto de inicio indicado manualmente o usando el GPS muestra en un mapa las rutas (líneas de transporte público) que llevan al usuario hasta el destino seleccionado. La aplicación ofrece además información referente a la empresa de transporte (número de ruta, distrito inicial, distrito final, etc) así como una foto referencial de la unidad. En tercer lugar se eligió a ¡Salvemos las Huacas! , una plataforma web de mapeo ciudadano orientada a la defensa, conservación y protección del patrimonio arqueológico ante la amenaza del desborde urbano en nuestra ciudad. The panel awarded first place to the #OTA  group for the Quiero Ir! (I want to go!) project that, by means of a manually- or GPS-inputted starting point, mapped the (public transport) routes that would take the user to their selected destination. The application also offered information about the route (route number, starting point, final destination, e.t.c) as well as a reference photo of the vehicle. The SEUSS team was given second place. Its presupuestando.pe application offers information in a dynamic way about the budgetry indicators of the regional and local governments, providing easy access to the information and encouraging citizen participation. (Budget at national level). The project can be seen here: http://bibliotecuss.iideasperu.org/presupuestando . Third place was given to ¡Salvemos las Huacas! (We save the tombs), a web platform for a citizen map orientated towards the defence, conservation and protection of our archaeological heritage against the threat of urban overflow in our city. 1. Brasil – Onde Acontece . Team: São Paulo Perl Mongers. Team Leader: Thaigo Rondon. 2. Chile – Escuela Popular . Team: Oleyna. Team leader: Oleh Burkay. 3. Uruguay – Moña Azul . Team: Moñita Azul. Team leader: Fernando Briano. 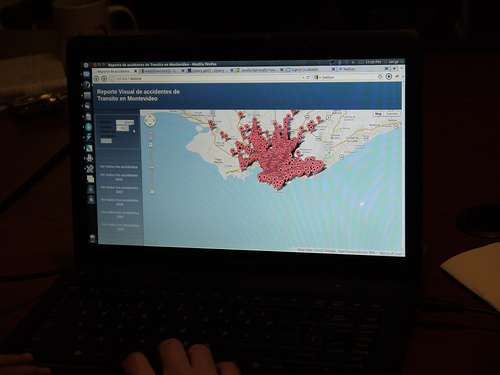 Visualization of traffic accidents in Montevideo. 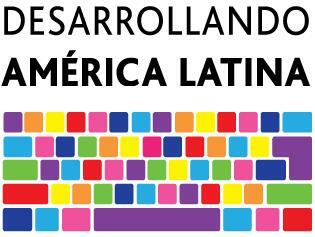 Photo by Desarrollando América Latina. I was participating in a group that was seeking to make parliamentary information accessible to everyday people. Interesting data, like attendance, the projects proposed by each member; from the lavish spending to the credit reports that these members of parliament carry out on the state bodies;… Transparency. Give the public, as well, the possibility to express an opinion about each issue, the possibility to suggest issues of interest, and thus be informed each time that these projects, notices, e.t.c are introduced. All of the things needed to to learn a language well and quickly like Java and Python. I'm just a UTU student and my intention was only to learn, not to win. Now that I'm going to get my hands on a prize, I'm really looking forward to going beyond the course I'm studying. Realising that IT can help in daily problems and social issues. It's just a case of thinking about it and finding the way. I'm glad to have been able to do my bit in something much bigger than each individual participant, but that was carried out with the collaborative effort of all. […]We know that these projects, and those of other countries, keep on developing. There will be more hackathons like this one soon, where I hope to see more people taking part. Today I have worked a little on the xls, ods and Google docs data processing and I know that Juan Manuel was going to see the OCR things for PDF and Fran was watching DJango (by direct influence of the event). I know all the other teams also intend to keep on developing, which marks the beginning of this new phase that I mentioned. We must not lose momentum. Exhibition of one of the Mexican teams. Photo by Desarrollando América Latina. This competition has, in equal measures, served to encourage the idea of hackathons  [en] and public hackers  in the region and to organise the community of people from diverse disciplines with experience in the use and exploitation of open data  bases. This might be a good starting point both to generate similar replicas or more ambitious activities from civil society organisations interested in these issues, as well as for the simple spread of the concept of open data, e-government and the social use of IT amongst the developers of the region and others who are interested. Hopefully these types of initiatives will become widespread throughout all Latin American countries. Post originally posted on Juan Arellano's personal blog .